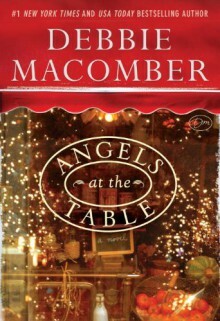 In this joyous and whimsical holiday novel, Debbie Macomber rings in the season with the return of Shirley, Goodness, and Mercy, delivering laughs, love, and a charming dose of angelic intervention. Shirley, Goodness, and Mercy know that an angel’s work is never done, especially during a time as wondrous as New Year’s Eve. With an apprentice angel, Will, under their wings, they descend upon Times Square in New York City eager to join in the festivities. And when Will spies two lonely strangers in the crowd, he decides midnight is the perfect time to lend a heavenly helping hand. Lucie Farrara and Aren Fairchild meet after bumping into each other—seemingly by accident—in Times Square on New Year’s Eve. They immediately hit it off and find they have a lot in common: Lucie is a burgeoning chef and Aren is a respected food critic. But just as quickly as they’re brought together, another twist of fate tears them apart, leaving Lucie and Aren with no way to reconnect. A year later, Lucie is the chef of an acclaimed new restaurant and Aren is a successful columnist for a major New York newspaper. For all the time that’s passed, the two have not forgotten their one serendipitous evening—and neither have Shirley, Goodness, Mercy, and Will. To reunite the young couple, the angels cook up a brilliant plan: mix true love, a second chance, and a generous sprinkle of mischief to create an unforgettable Christmas miracle.